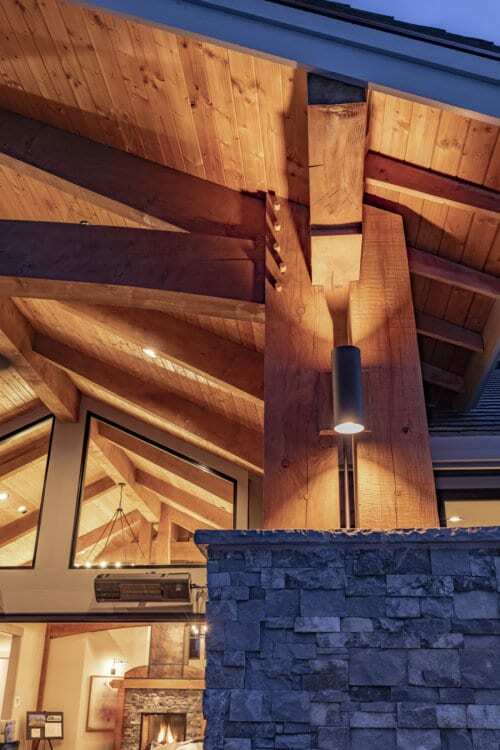 Hybrid Timber Framing will give you the warm experience of exposed beam construction without the inflexibility associated with full timber frame homebuilding. 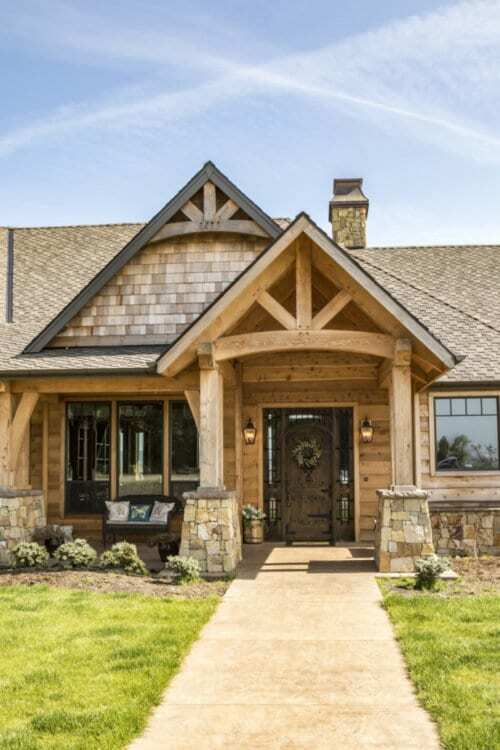 Rustic timber homes…clean but strong timbers, with emphasis on the right balance of post and beam. 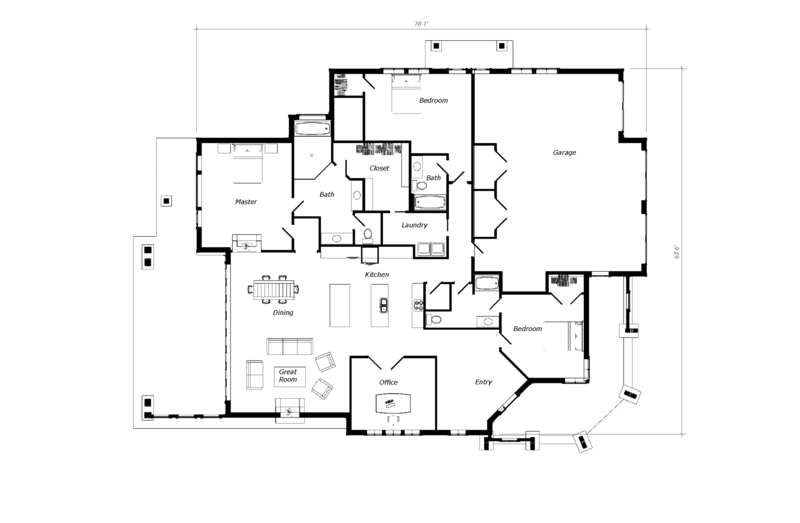 Fully capable of modern style, open concept, classic euro and craftsman…and beyond. 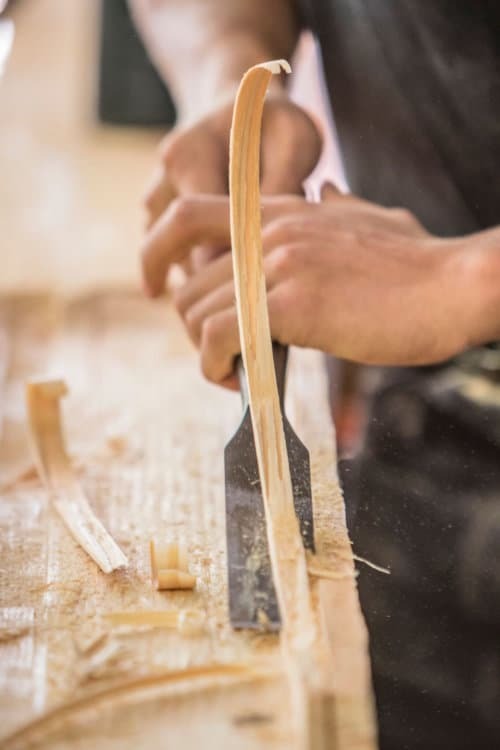 Regarding ugly timber aesthetics, we can learn from the following of examples for setting the context and getting timber proportions right. A project by an unknown builder. To the untrained eye, this timber application may seem ok, but imagine how good this could look with the following suggested changes. If this had been your plan, and ATF was hired, these tweaks would have been applied to a 3D model before putting together your timber frame package. As you know, ugly can go much deeper than just timber aesthetics, it could be in attitudes, communication and experiences. You can avoid this by hiring right. Is ATF the right fit for your project? 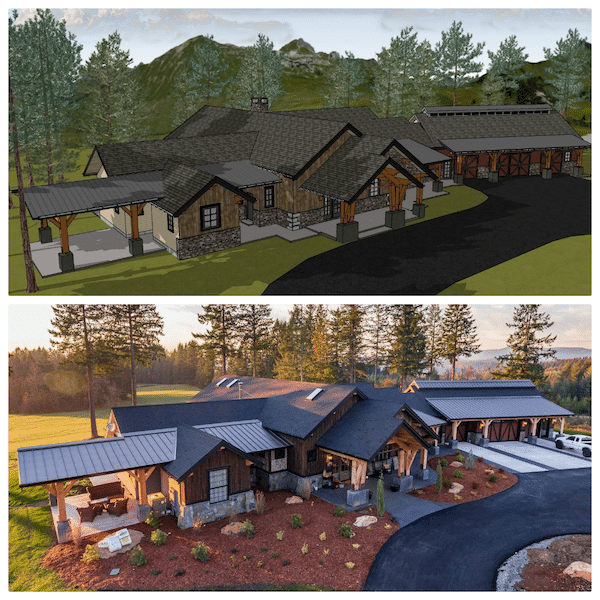 30-90 Minute Brainstorm: Is our timber framing company the right fit for you? Design Phase: Using 3D Modeling, let’s create your ideal design. 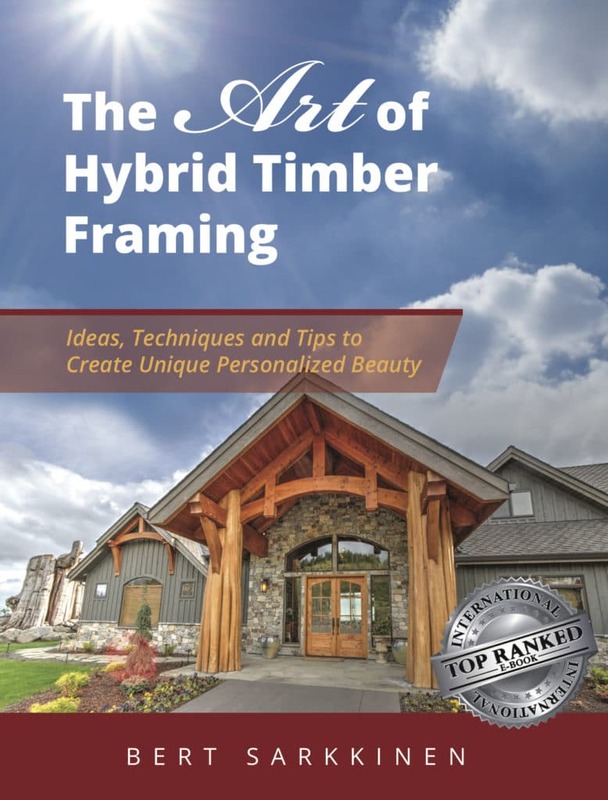 Crafting & Install: After crafting your timber frame package, your timber project comes to life during the install. 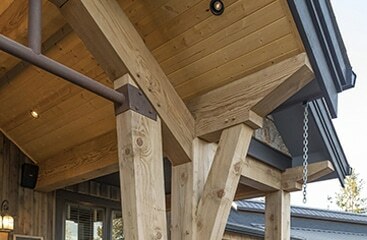 The fastest way to explore your timber frame project possibilities, and what it will cost, is to schedule a 30-90 minute brainstorm.